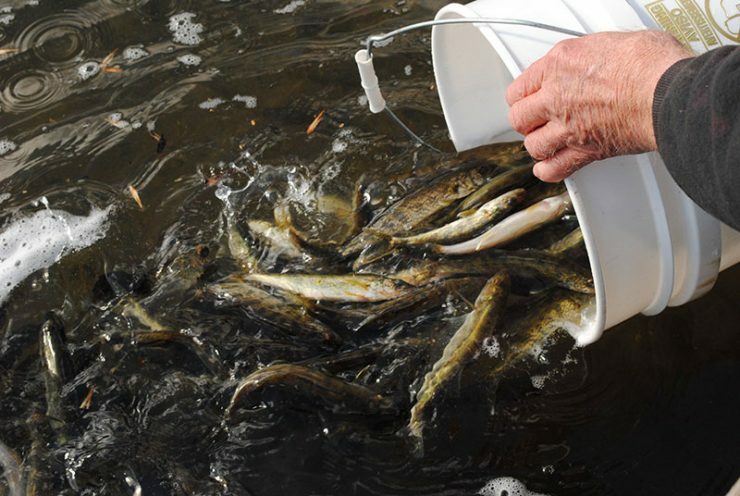 GLADSTONE – About 5,000 walleye were planted Wednesday on Little Bay de Noc to support the fishery on the bay. This is the fourth year of the Walleye Restoration Project. MARQUETTE – The Department of Natural Resources today announced that its proposed final Regional State Forest Management Plans (RSFMPs) – designed to help the DNR sustainably manage Michigan’s nearly 4 million acres of state forest land – are now available for final public review. The plans and other information are posted on the DNR website at www.michigan.gov/regionalforestplans. MARQUETTE – Wolf hunting licenses go on sale in Michigan starting at noon EDT Saturday. A total of 1,200 licenses will be available for purchase. Wolf license sales end Oct. 31, or before, if the license quota is met. Ottawa Eastern Connector ORV Route opens in western U.P. A new, 70-mile state designated off-road vehicle (ORV) route running north/south through three counties and the Ottawa National Forest in the western Upper Peninsula opened Saturday. MARQUETTE – The Department of Natural Resources will host an open house on Wednesday, Sept. 11, in Ishpeming to provide information and receive public comment on proposed forest management treatments for 2015 in the Gwinn management unit, which includes Alger and Marquette counties. DNR to hold hearings on forest plans for eastern U.P. The Department of Natural Resources will host open houses on Tuesday, Sept. 10, in Naubinway and Wednesday, Sept. 11, in Kincheloe to provide information and receive public comment on proposed forest management treatments for 2015 in the Sault Ste. Marie management unit, which includes Chippewa and Mackinac counties.